Our new Facebook series will be focusing on a variety of things to see and do in New Zealand. Tourists and residents alike enjoy getting out and about in New Zealand and experiencing everything our beautiful country has to offer. Over the next month we will be profiling a variety of different activities throughout New Zealand that will appeal to everyone. To kick off the segment we are featuring the Milford Sound which can be found on the West Coast of the South Island. 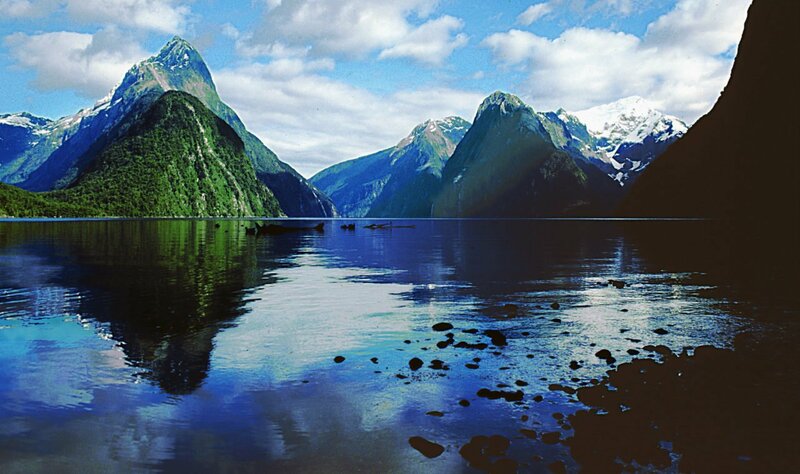 Milford Sound is said to have been discovered by the Maori people over 1000 years ago and used to collect precious Greenstone annually. However, it was further discovered by European Settlers in 1912 and was later described as the eighth wonder of the world by British writer Rudyard Kipling. Between 1930-1954 the Homer Tunnel was built to make the area accessible by road and thousands of visitors have since flocked to the Sound. Milford Sound is the most accessible fiord in the Fiordland area of the West Coast of the South Island and it is only 16km from the open ocean to the head of the fiord so travellers can easily go the length of the fiord to the open ocean and back on the many cruises which are offered in the area. Milford Sound features Mitre Peak which consists of 5 closely grouped peaks and rises above the Sound on the southern side. The area experiences a high rainfall of 6813mm per annum which is high even for the West Coast area. However, regardless of whether it is sunshine or rain the Milford Sound is a natural wonder which gleams beauty and instills a sense of awe. There are a number of permanent waterfalls as well as temporary waterfalls which are created by the high rainfall and will disappear on a clear day. Milford Sound is home to extensive marine reserves as well as supporting the worlds largest colony of black coral trees with around seven million colonies throughout the fiords. Various wildlife such as seals, dolphins and penguins are readily seen either in the water or bathing on the rocks throughout the sound.